A face you'd never tire of slapping. A goit! I never really understood the word in Red Dwarf but here is one. Wasn't it Cicero who said "when you lack a rational argument, abuse the plaintiff"! 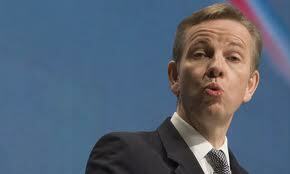 Mr Gove is in politics. I think he can manage a little gentle ribbing. I suspect that he will hear worse elsewhere. Now about the idea that there is no rational argument: please tell me you are joking. Even Melanie Phillips' ill-informed piece in yesterday's Daily Mail was roundly pulled to pieces by the vast majority who commented on line. When the readership of the Daily Mail turns on a Conservative governmemt the end of the world must be nigh.